William Shakespeare was a famous Dramatist from England, who lived between April 26, 1564 and April 23, 1616. He became 51 years old. He is regarded as the greatest English writer and the world's most eminent dramatist. He called England's national poet and "the bard of Avon" - or simply "poet." Ben Jonson gave him the name "Swan of Avon". Authorship consists of 38 plays, 154 sonnets, two long narrative poems and several other poems. Plays have been translated into every major language and are performed more frequently than other playwrights plays. Shakespeare was born and grew up in Stratford-upon-Avon. When he was 18 years old, he married Anne Hathaway, whom he had three children with: Susanna and twins Hamnet and Judith. He traveled to London sometime between 1585 and 1592 and began a successful career as an actor, writer and part owner of the acting company Lord Chamberlain's Men - later known as the King's Men. He probably retired back to Stratford around 1613, where he died three years later. 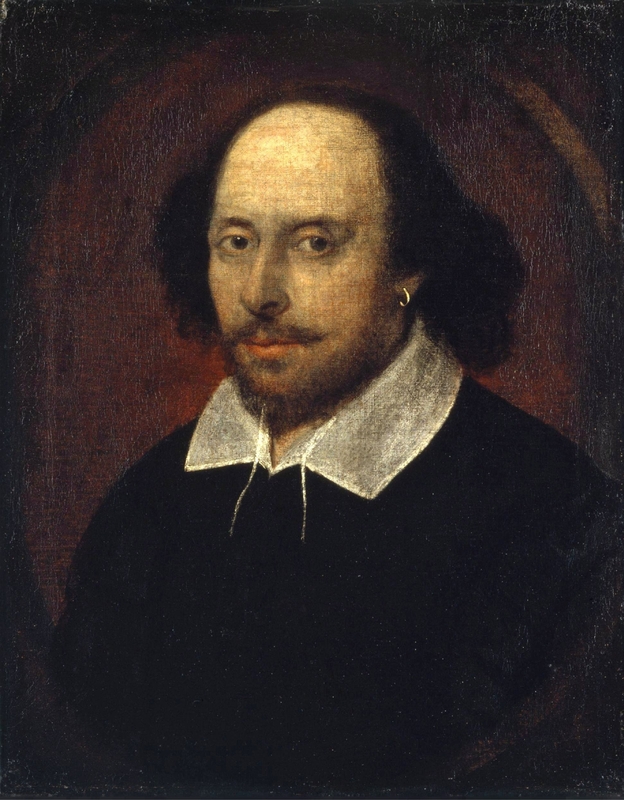 Shakespeare wrote most of his famous works between 1590 and 1613. His early plays were mainly comedies and krønikespill, genres he refined in the late 1500's. He wrote mainly tragedies until 1608 - such as the classic Hamlet, Macbeth and Romeo and Juliet. At the end of his life he wrote tragicomedy and collaborated with other playwrights. Many of his plays were published in editions of varying quality and accuracy during his lifetime. In 1623 published two of his former theatrical colleagues Shakespeare's complete plays, which contained all his plays except two. He is born under the zodiac taurus, who is known for Security, Subtle strength, Appreciation, Instruction, Patience. Our collection contains 173 quotes who is written / told by William, under the main topics: Happiness, Love, Nature, Peace. "Lawless are they that make their wills their law"
"It will have blood, they say; blood will have blood"
"It is the stars, The stars above us, govern our conditions"
"Modest doubt is called the beacon of the wise"
"How far that little candle throws its beams! So shines a good deed in a naughty world"
"As he was valiant, I honour him. But as he was ambitious, I slew him"
"A peace is of the nature of a conquest; for then both parties nobly are subdued, and neither party loser"
"And oftentimes excusing of a fault doth make the fault the worse by the excuse"
"An overflow of good converts to bad"
"Mind your speech a little lest you should mar your fortunes"
"Men's vows are women's traitors!" "Most dangerous is that temptation that doth goad us on to sin in loving virtue"
"O! Let me not be mad, not mad, sweet heaven; keep me in temper; I would not be mad!" "O! for a muse of fire, that would ascend the brightest heaven of invention"
"O, what a goodly outside falsehood hath!" "It is a wise father that knows his own child"
"If it be a sin to covet honor, I am the most offending soul"
"I will praise any man that will praise me"
"I were better to be eaten to death with a rust than to be scoured to nothing with perpetual motion"
"I was adored once too"
"I shall the effect of this good lesson keeps as watchman to my heart"
"I see that the fashion wears out more apparel than the man"
"I say there is no darkness but ignorance"
"I never see thy face but I think upon hell-fire"
"I may neither choose who I would, nor refuse who I dislike; so is the will of a living daughter curbed by the will of a dead father"
"Heat not a furnace for your foe so hot that it do singe yourself"
"He that loves to be flattered is worthy o' the flatterer"
"He that is giddy thinks the world turns round"
"He is winding the watch of his wit; by and by it will strike"
"He does it with better grace, but I do it more natural"
"Having nothing, nothing can he lose"
"God hath given you one face, and you make yourselves another"
"God has given you one face, and you make yourself another"
"Faith, there hath been many great men that have flattered the people who ne'er loved them"
"Exceeds man's might: that dwells with the gods above"
"Everyone ought to bear patiently the results of his own conduct"
"Desire of having is the sin of covetousness"
"Death is a fearful thing"
"Come, gentlemen, I hope we shall drink down all unkindness"
"Children wish fathers looked but with their eyes; fathers that children with their judgment looked; and either may be wrong"
"But O, how bitter a thing it is to look into happiness through another man's eyes"
"But men are men; the best sometimes forget"
"When a father gives to his son, both laugh; when a son gives to his father, both cry"
"What's done can't be undone"
"Things won are done, joy's soul lies in the doing"
"Is it not strange that desire should so many years outlive performance?" "I like not fair terms and a villain's mind"
"For my part, it was Greek to me"
"'Tis best to weigh the enemy more mighty than he seems"
"Praise us as we are tasted, allow us as we prove"
"No, I will be the pattern of all patience; I will say nothing"
"Listen to many, speak to a few"
"In a false quarrel there is no true valor"
"How oft the sight of means to do ill deeds makes ill deeds done!" "Fortune brings in some boats that are not steered"
"'Tis one thing to be tempted, another thing to fall"
"Love to faults is always blind, always is to joy inclined. Lawless, winged, and unconfined, and breaks all chains from every mind"
"If to do were as easy as to know what were good to do, chapels had been churches, and poor men's cottage princes' palaces"
"I had rather have a fool to make me merry than experience to make me sad and to travel for it too!" "Go to you bosom: Knock there, and ask your heart what it doth know"
"For I can raise no money by vile means"
"They say miracles are past"
"The most peaceable way for you, if you do take a thief, is, to let him show himself what he is and steal out of your company"
"Such as we are made of, such we be"
"Love sought is good, but given unsought, is better"
"Time and the hour run through the roughest day"
"If you can look into the seeds of time, and say which grain will grow and which will not, speak then unto me"
"If we are marked to die, we are enough to do our country loss; and if to live, the fewer men, the greater share of honor"
"I bear a charmed life"
"'Tis better to bear the ills we have than fly to others that we know not of"
"They do not love that do not show their love"
"The stroke of death is as a lover's pinch, which hurts and is desired"
"I hold the world but as the world, Gratiano; A stage where every man must play a part, And mine is a sad one"
"'Tis not enough to help the feeble up, but to support them after"
"Well, if Fortune be a woman, she's a good wench for this gear"
"The lunatic, the lover, and the poet, are of imagination all compact"
"Speak low, if you speak love"
"O thou invisible spirit of wine, if thou hast no name to be known by, let us call thee devil"
"Ignorance is the curse of God; knowledge is the wing wherewith we fly to heaven"
"I am not bound to please thee with my answer"
"This above all; to thine own self be true"
"I dote on his very absence"
"How well he's read, to reason against reading!" "Life's but a walking shadow, a poor player, that struts and frets his hour upon the stage, and then is heard no more; it is a tale told by an idiot, full of sound and fury, signifying nothing"
"Words, words, mere words, no matter from the heart"
"Women may fall when there's no strength in men"
"Wisely, and slow. They stumble that run fast"
"Where every something, being blent together turns to a wild of nothing"
"When words are scarce they are seldom spent in vain"
"We cannot conceive of matter being formed of nothing, since things require a seed to start from... Therefore there is not anything which returns to nothing, but all things return dissolved into their elements"
"We are time's subjects, and time bids be gone"
"Virtue itself scapes not calumnious strokes"
"Virtue is bold, and goodness never fearful"
"Use every man after his desert, and who should scape whipping?" "Truly, I would not hang a dog by my will, much more a man who hath any honesty in him"
"To thine own self be true, and it must follow, as the night the day, thou canst not then be false to any man"
"To do a great right do a little wrong"
"There's place and means for every man alive"
"There's not a note of mine that's worth the noting"
"There's no art to find the mind's construction in the face"
"There's many a man has more hair than wit"
"There was never yet fair woman but she made mouths in a glass"
"There is a tide in the affairs of men, Which taken at the flood, leads on to fortune. Omitted, all the voyage of their life is bound in shallows and in miseries. On such a full sea are we now afloat. And we must take the current when it serves, or lose our ventures"
"There have been many great men that have flattered the people who ne'er loved them"
"The wheel is come full circle"
"The golden age is before us, not behind us"
"The fashion of the world is to avoid cost, and you encounter it"
"The devil can cite Scripture for his purpose"
"The attempt and not the deed confounds us"
"Teach not thy lip such scorn, for it was made For kissing, lady, not for such contempt"
"Talking isn't doing. It is a kind of good deed to say well; and yet words are not deeds"
"Poor and content is rich, and rich enough"
"Pleasure and action make the hours seem short"
"Our peace shall stand as firm as rocky mountains"